I had the flu vaccine shot on Tuesday, and my arm was sore. But then on Friday my arm is swollen and itching. I have a low grade fever and chills. Why the side effect is delayed, I wonder. Day of flu shot and entire day after, I felt extremely tired and had bouts of nausea. It only lasted one day. A couple of days after taking the flu shot my right eye started to be sore and aching. It feels like sand in my eye and itchy. I went to my eye doctor who said everything looked ok but it could be caused from flu shot. I went to my medical doctor and she said it was an eye infection and has given me antibiotics. The worst is the bone on the outside of my eye hurts badly when I touch it. My eye is slightly swollen and also there is swelling under my eye on the top of my cheek. After 4 days of antibiotics I can't see a big change at all. I will go back to my eye doctor on Monday. I wonder if it is just a coincidence. My vision seems ok except when I move my eyeball to the right it doubles a bit, and also hurts when I look to the right; feels like there is something under the bone causing soreness. Day 1 evening time after flu vaccine, my chest started to feel congested and a cough developed and a little bit of a runny nose. Day two coughing was more severe and I had light body ache. On day three I had low grade fever, severe fatigue, severe body ache, chills, and sweating and coughing my head off. Day four was the same. Day five was worse, all the above symptoms but more severe, plus weakness and feeling faintish. I went to the doctor he said I have acute bronchitis and put me on Z-Pak, an inhaler and steroid medicines. I had a terrible night. Day 6 is the same, the body ache isn't as bad but everything else is the same. I got sick three days after my flu shot. Last week I had strep throat infection. I am certainly still taking antibiotics but now I feel like I have urine infection. I had the flu vaccine over 3 weeks ago and since then all my muscles in my arms are sore and I have a very bad pain in my shoulder blade and blisters in my mouth that just won't go away. I feel so under the weather. My doctor doesnt think it is related but I have never felt so bad before. This is the second seasonal flu vaccination that I received that has given me optic neuritis in my right eye 5 days post vaccination. For the seasonal flu vaccinations I had received prior to the past two, I had no side effects other than the minor side effects of sore arm, muscle aches and some fatigue. I received the swine flu vaccine, and since then I have had so many hormonal changes to my body. I now have hypothyroid, high cholesterol, psoriatic arthritis, and fibromyalgia. Thankfully I am now taking back my life with natural products that have already helped me to get off of my cholesterol medication, and lower my thyroid medication. My arthritis and fibromyalgia is also getting better as well. Mercury poisoning causes all of these conditions, but I found a way to get better. My 7 year old got the flu shot on October 24th. Since that day my baby boy has had fevers of up to 103.9 and I'm lucky to get it down to 100. Right now its 4 AM and I have to keep waking up every two hours to check his temperature and keep track of it. He not only has the fever he has severe leg pain, chills, cough, stuffy nose and night sweats. Tomorrow he has his 5th doctor appointment and then the next day he has to have his heart checked to make sure he is okay. They say they don't know why or what is the reason why all this is happening to him. He has missed gymnastics and is now out of basketball. Today is 11/14/13 and I want my son to get better. I had the flu vaccine about three weeks ago. My after symptoms were soreness at the site of the shot, a bad cold, chills, and intermittent sick stomach. I never had a reaction until this year (2013). I still have chills at times, cold symptoms etc. I do not have a fever though. I am 71 and will not get the flu shot again. I got the extra strength flu shot on Friday. I didn't notice any reaction, some soreness at injection site. Late Tuesday I had a headache and by Wednesday and Thursday, it was pretty intense. I've taken OTC pain killers and they have helped. I'm hoping this is over soon. It's not pleasant. My kindergartener's class has been passing different colds and flu around, all year. A week ago I took my 4 kids to the doctor to get the flu shot. Well 3 days ago, my kindergartener started throwing up, had diahrrea and horrible stomach pains, though it only lasted 24 hours. Then I got it the next day, then the next day my 15 year old got it and then a few hours later my 11 year old got it and right after that I woke up with severe pain down my sides and in my back and when I coughed I realized it was my lungs that were painful. I have asthma so I guess it's not over for me. We always get the flu shots and almost never got sick before. This one has been bad. I have burning tongue syndrome, a terrible disease where your tongue literally 'burns' all the time. It feels as though you've burnt your tongue but the pain never subsides. I have had this problem for approximately 10 plus years. It causes depression, anxiety, and weight gain as the pain feels better on a full stomach. I take hydrocodone twice daily, gabapentin 3 times a day, Protonix, Xanax for anxiety and Cymbalta for the depression. Regardless, I still have pain. It is a little known disease, with little known causes and treatments. 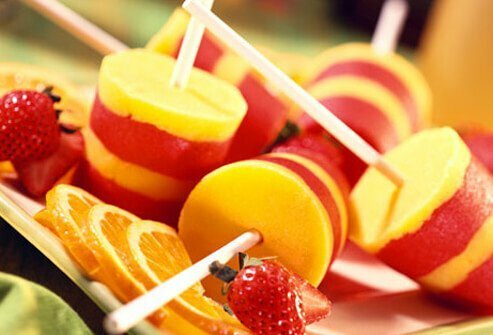 Salty foods help along with frozen drinks. Good luck to anyone who has this terrible plight. I had the 2012 Southern Hemisphere flu shot here in South Africa over a week ago (9 March). Now all of my muscles are stiff and aching and I have had a bad back-ache. Temperature is up to 38C. Ears are blocked and eyes are itching. I have had the flu shot annually, but never reacted like this before. A codeine/ibuprofen pill gives great relief, but I think this has gone on too long now. I had my first flu shot in about 3 years and about 6 hours later my legs and back were aching really badly. I developed a severe headache and was chilling so bad I was shaking. I ended up having a temperature of 102 degrees. I was so sick and don't ever remember feeling so bad. First time I've gotten the H1N1. Probably will never get another one. Too much of a coincidence. We just received our influenzas on yesterday 12 Oct 2011 here on base and later on that night I became feverish I took my temperature and it was 101 I couldn't eat, my whole body ached and I was dizzy....today 13 Oct 2011 I still feel the same way I'm not sure if I should go to medical or not but I have the worst migraine and my ears feel like they're on fire, my chest hurts, I feel off balanced and dizzy, my body still aches everywhere and i have no appetite. I had a flu shot on a Monday, then did my customary three mile walk. I'd asked the practitioner who administered it if walking was ok. She said yes. On Wednesday I went out and from the start of my walk felt tired. By half a mile my legs were aching and I had to sit down on a bench about every fourth mile or so. My legs have been aching when I go up and down stairs and my arm where I got the shot first hurt like hell up and down my arm when I walked that Wednesday and it's still sore now. I'm not allergic to eggs so why the muscle aches? I haven't gone out walking since because I'm afraid I'll need help before I even half around the track. Never had the problem of my muscles aching so bad like this ever before! My husband received the flu vaccine in the fall of 2010 at about 3 p.m. At 8:30 p.m., he started to experience chills while watching TV. By 10:30 p.m., he was shaking uncontrollably with chills and was achy. He took a couple Tylenol and went to bed. He was still achy next morning. He stated he "will never" get the vaccine again. This is the first time in about five years he had a flu vaccine. My boyfriend had a flu shot and within days he could not and still cannot taste food. My wife and I have been getting our flu shot for years. We never had any problems at all. I am 82 and she is 76 so I expect we should be susceptible to all these side effects. We are like almost all people who get their annual flu shots who hardly ever get onto a site like this to give out the good news. The good news is that many lives are saved with the little annual prick. Can't wait to get mine again this year. Be Happy. 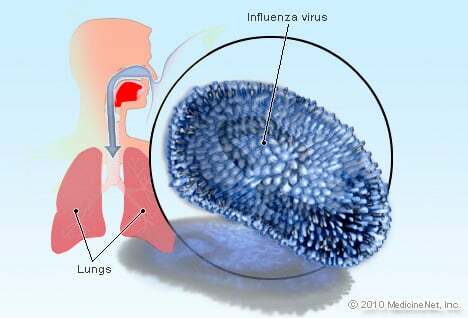 I have gotten influenza vaccination about 20 times in my life because of working in health care. Only once I had moderate side effects (fever, aches, runny nose, cough) that lasted three days. All the other times I have had no more than mild swelling at the site of the injection. Usually after 2 or 3 days you cannot even see where the shot went in! The side effects of the flu shot are a lot easier to take than the symptoms of the real flu, which I got many years ago and had me sick in bed for 10 days. Now you could not pay me enough to make me skip my flu shot every season! I did not receive the flu vaccine. But my flu started on December 19th, and I still have it today, the 27th. It started with a sore throat, the next day I had congestion, a stuffy nose, and a runny nose. The highest my fever reached was 104.2 and since then has gone down. I continued this until about December 24th, when I started to feel better and my fever broke. The next day I felt even better, and even got out of my bed and celebrated Christmas. Well the next day I still felt better, with a 98.8 temp, but by the night I was back up at 99.6 and very tired. Today I have felt okay, a lot of congestion and currently a horrible throbbing headache. But I have no fever. No fever, (and I never took Advil or Ibuprofen) but I am still experiencing symptoms. If someone could please help, that would be very much appreciated. Every year I get the flu shot, I am 57 female but last year I got the flu shot in the left arm and a couple of weeks later I noticed where I got the shot in my left arm there was a slight ache, but by the next morning I could not lift it or move it, not even an inch it hurt so bad I was in so much pain, my husband took me to the ER, they did X-rays, checked to see if I had stroke symptoms, which all was good, they told me I had a frozen shoulder which you can get from a shot, now this year I got the flu shot in the right arm and I noticed it hurting slight also, I will keep watch on it and maybe next year do the mist. I had my first flu shot in 35 years on Saturday. Sunday night I had a sore throat, runny nose and mild achiness. Today, 6 days after the shot my symptoms are a little worse, respiratory - some coughing, sneezing. I don't have a fever, it is much like a bad cold. I am told this is a coincidence and not caused by the flu vaccine. Hard to believe. My wife has not caught my "cold" yet. I got the seasonal flu shot four days ago and began experiencing pain in my thighs (mostly at night). I get the flu shot every year and have never had a reaction like this. Heat and Tylenol seem to help. I don't understand why it is worse at night. I have been getting flu shots since I was in my late teens without any bad reactions. Since I am over 65 years of age, I was encouraged by the pharmacist to have a "high-dose" inactivated influenza vaccine. Within three hours I had weakness in my arms, loss of appetite, taste and had a 100 degree temperature for five days. Then I had hoarseness and finally bronchitis. I was given a Z-pak by my doctor and did not feel it helped at this point. It has been three weeks and I am finally getting an appetite back. No more "high dose" for me. 2012-2013 Flu vaccine. Side effects: Vertigo, tinnitus, loss of sense of taste except for salt, impaired sense of smell, chronic cranial pressure and sinus pressure, puffy, bloodshot eyes, fatigue. Filed VAERS-1 Report, I'm now a statistic. This year's shot (2012-2013) is a bear. Consider yourself forewarned. I hope these side effects are temporary. I had the flu shot last Sept 2012 and had a bad reaction. I am still recovering. I went to a naturpathic doctor for my recovery, after my trip to the ER when all tests came back negative for a stroke and they told me that they had no antidote for the shot. The best way to sum it up is I had the signs and symptoms of a stroke, RA, Lupus and Mononucleosis. I have had chronic headaches as well. I am 80% better and it is one year later. Never again. We have a treatment for the flu but not an antidote for the shot, I would much rather have had the flu for a week than this adverse effect. Three days after my flu shot, I noted a slight headache which is very unusual for me. I also endured a lack of energy, and the next morning my voice was totally gone! I was given the H1N1 vaccine. I warned them that I couldn't take the swine flu vaccine as it nearly killed me in 1976. What they gave me contained the swine flu vaccine and I am still suffering from the effects even though it's been 2 years! I received the flu shot 2 months ago and had extreme pain in the arm where it was given for nearly 2 months and pain and swelling in my right knee. I have never had problems with that knee before and did not have an accident or anything to account for it. From there, my entire body began aching, making it very painful to move. I am only 44 and have never had arthritis. The whole-body arthritis has not subsided at all, making it very difficult to move and get around. I know it was connected to the H1N1 shot because the strange symptoms appeared almost immediately and there is nothing else to account for the pain. I received a flu vaccine about a month ago. 4 days ago I came down with Influenza A. It's miserable. This is the first time I've had the flu in about 12 years. It's also the first time I've had the flu shot. I will not get one again.